“Your lot is engraved in your palm”, yes, Jesus Christ said so, and you should know that for every rule, there is an exception. In other words, there is no need of exception if there is no rule or law. Then, Jesus said, again, “Pray to God, He may hear your prayer in Heaven”. 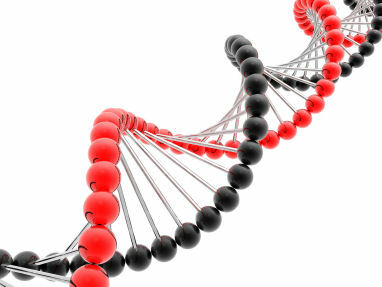 Is it true that our future is blueprinted in the diagram of our genes? That is a very interesting question. Many scientists and doctors are trying to dig the secrets of gene structures. I've read various books and magazines about genes. And here are some interesting stories known especially after the world war. Let's take a case of an identical twin who separated after their birth, and an incident made them meet each other after 47 long years. Their gene structures are almost identical since they are monozygotic twins, and we know that it is easy to know the difference or to compare their inner sides through gene structures. Suppose their names are Jack and Oscar, an identical twin born in 1930s in Germany. They were separated and had been adopted by foster parents before they reached one year old. Jack was taken to Israel and grew up as an Israeli soldier. Later, he transferred to California and worked as an electrical engineer. Oscar lived in Germany and worked as an electrical engineer, too. After 47 years of separation, an incident made them meet each other. Surprisingly, their appearances are very identical and hard to distinguish. Their heights and weights are very similar but their eyesight had some differences. They both have mustache and use similar eyeglasses. They decorate similar design of wallpapers and wall pictures in their houses. Their habits as well as their manners are very similar. Their genes are so identical and they are both healthy. We notice that their lifestyles were also identical. Let's take another case of twin sisters, Haru and Hana, who were born in 1930s from a wealthy business tycoon in a wealthy district of Hyogo, Japan. Both girls had grown beautiful with complete educational achievement and talents. Their high social lifestyles brought them to America and were both married to wealthy sons of American business tycoons. Hana stayed in California, and gave birth to two baby girls, but Haru came back to Japan after her divorce. However, Hana noticed that something was wrong with her. It turned out that she was suffering from breast cancer. Hana immediately rushed to her hometown in Hyogo, and in a hospital she was operated for breast cancer. Right now, she still looks young and beautiful, and at least healthy at about 75 years of age. Haru has been living in the same mansion in Hyogo since her divorce. Now, Hana noticed that her sister Haru looks so old and have darker complexion with plenty of wrinkles on her face. Hana suggested Haru to consult beauty specialists for face lift. Haru and her husband agreed for cosmetic surgery, and removed her wrinkles. Haru is now without wrinkles and no dark complexion, and now she looks as beautiful as her sister, Hana. The twins are now healthy and there are not so much differences in their DNA structures. They are now living together in the old mansion happily. The twins look at least 10 years younger than their ages. Probably, it is because of their happy and contented lifestyle in the old memorable mansion. We have collected numerous data from twins, and learned how lifestyles and brain functions change their health conditions. We believe that we can now understand more about the causes of health condition from the data collected from twins as well as common people. We can believe that health depends on the brain functions like too much desire in fulfilling something, which may contribute as stress in most people. We understood that all twins showed that when one suffers from illness, one's brain shows some active part and his or her DNA shows some distortions that may be considered as the beginning of diseases. We also understood that when anyone suffers from a disease of unknown cause, his or her brain shows a certain activity that is not usual to us. We can believe that it is the sign of acquiring malady. In the case of newly born babies or young children who suffer from diseases of unknown cause, we can believe that their illnesses are within their DNA that was inherited from their parents. If you do keep your lifestyle in just, you will maintain your health as long as you live. But if your lifestyle consists of evil deeds, then, your health will deteriorate as your DNA will be deformed or destroyed. Don't you think that way? And it is really accurate, according to the studies done by many scientists.